In many cultures white represents or signifies purity, innocence. White is a color, the perception of which is evoked by light. In western cultures white is the most common colour for wedding dresses. 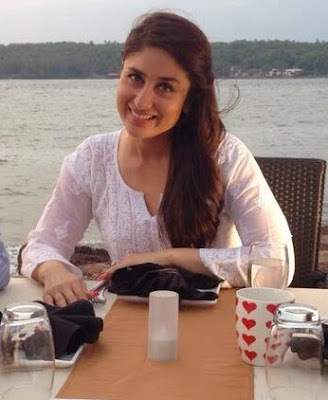 But in the recent times white dresses are worn across all geographies. Type of fabric might differ according to the weather and purpose. 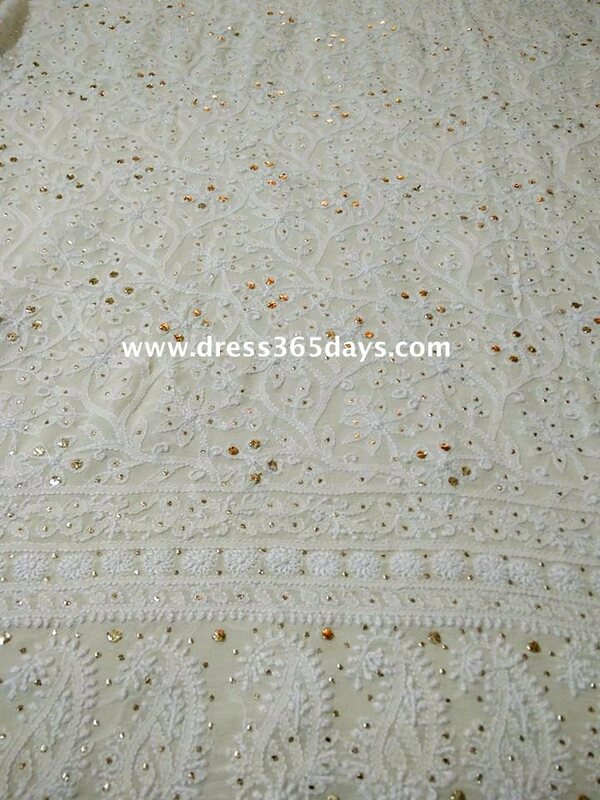 For summers cotton is best suited but for special occasions heavy pure georgette fabrics with mukaish/kamdani work are in trend. 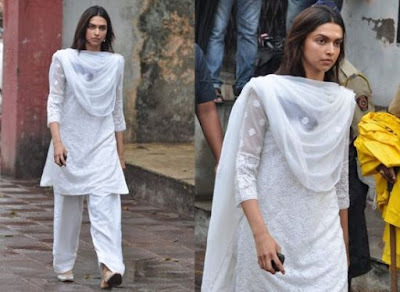 Since many Bollywood stars like kareena kapoor, Bipasa Basu, Deepika Padukone, Priyanka Chopra, Alia Bhatt and Kriti Sanon and other celebrities have been spotted wearing Designer White Dresses, their styles are being emulated by others. Thanks to the top end designers that these white fabrics are given a twist and mixed and matched with other colours and fabrics. Shades of white that differ only slightly from pure white are also much prevalent these days. Variations of white include what are commonly termed off-white colors, are considered part of a neutral color scheme. Colours like Beige and ivory are also in vogue. 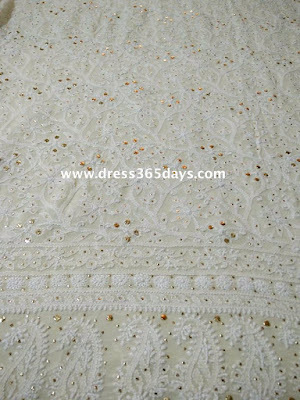 White chikankari hand embroidered fabrics are very elegant and comfortable to wear. 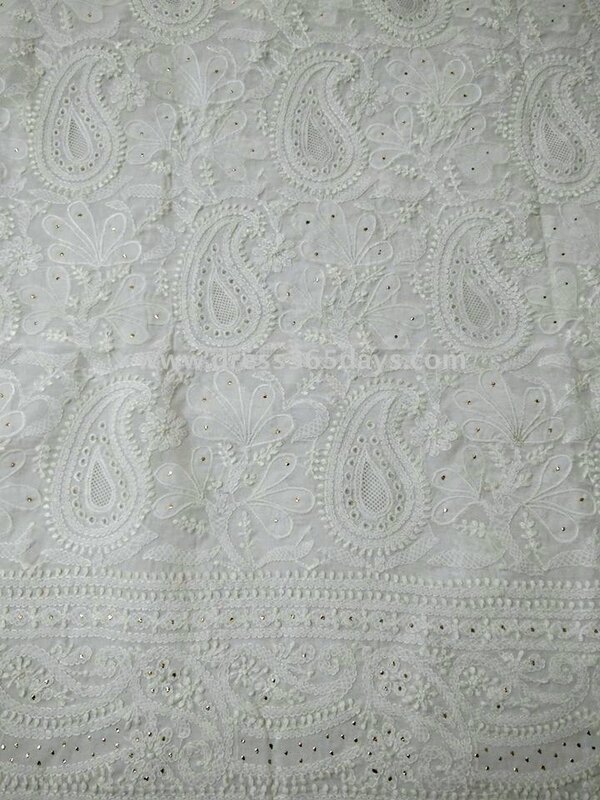 The embroidery gives a feel of exclusivity. 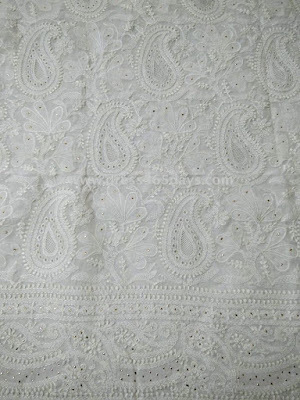 Nowadays jaali work and appliqué combined with intricate needlework lends an ethnic charm to it.